Welcome back, my dear friends! I hope you all had a great week and a wonderful Valentine’s Day last Sunday! Sit back and enjoy the projects that I have to share with you today – I hope they will get those creative minds of your going, and that you have some enjoyable crafting time this weekend. Pocket pages are a simple and stylish way to tell your story; this is a great solution for getting your photos off your phone and computer. Are you one that has a lot of pictures in boxes? You can get those into an album in no time. This is a great way of completing your albums without spending hours on only one page. There are so many different types of themed card inserts that will give you no more cutting, pasting, or even having to buy oodles of supplies. It is simple, fun, and then you are done! 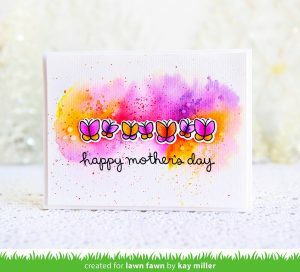 This fun and colorful pocket page was designed by Nancy Damiano. Be sure to visit Nancy at the American Crafts Studio blog. It is inspiring to see how Nancy creates unique and fun pocket pages. Pocket scrapbooking provides endless possibilities! 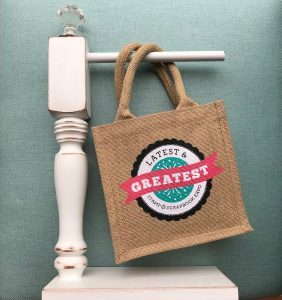 Don’t hesitate to try this fun technique; there are so many different varieties to create that you won’t want to leave your craft room! It is the instant gratification of scrapbooking! I know you will be hooked once you try it. 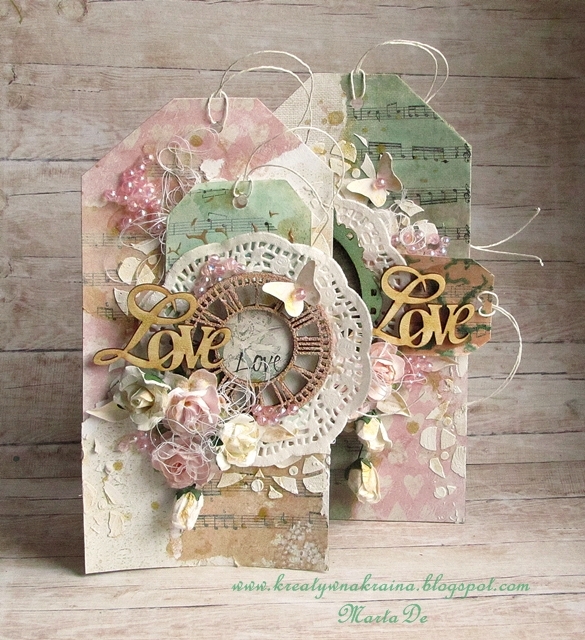 Today I would love to share some beautiful tags created by Marta De. Tags can be used in a variety of ways and take a package from ordinary to something really beautiful and special. These lovely tags were made using wood embellishments and fabulous mediums to give the wood great color and texture. Notice the beautiful layering, along with the wonderful texture created by using Sandstone Stone Effects on the wood clock. These beautiful tags are so versatile – use them on a package, a layout, a card, or even as an invitation to a party. They give such a beautiful and vintage flare. Click here and you will see a video tutorial to show you how to create your own. I hope you will be inspired today to send out one of your beautiful handmade creations in the form of a lovely card. They are so much fun to make and such a joy to receive. It is a great way of letting a special person in your life know just how much you care. Who wouldn’t love to receive such a fun surprise in the mail? This bright, whimsical card was created by Yoonsun Hur. 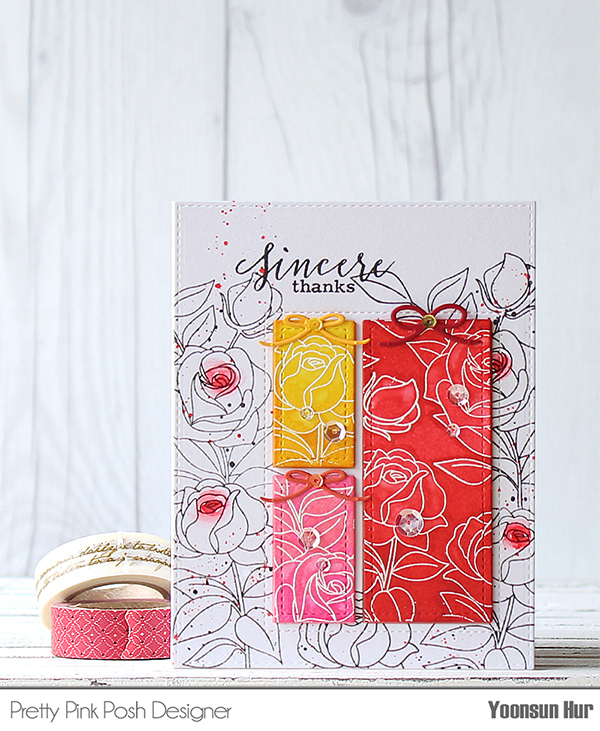 The roses are from Clearly Besotted Merci Beaucoup set with some red and black ink splatters. What a cheerful card! Yoonsun also used the Storybook 3 Dies to add some dimension. 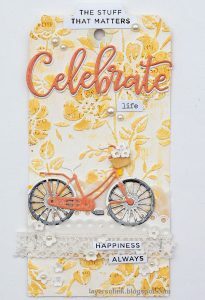 Come with me over to Rejoicing Crafts where you will find how she created this fun card with all of the supplies you will need to get started. Do you have an old dresser hanging around that you don’t want to get rid of because it has been in the family for a long time? Today I want to share a fun way of keeping that dresser and changing it into something beautiful. Once you restore this piece of furniture you are going to have a great appreciation for it since it will no longer just be sitting in a storage area! If you love this project but don’t have a dresser, you can always pick one up very cheap at a garage sale or thrift store. 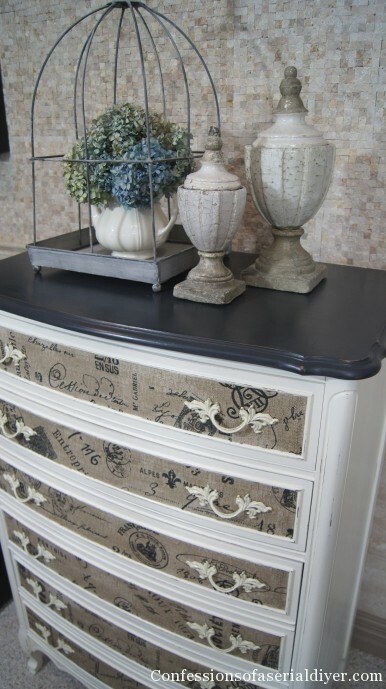 Your dresser with a fabric inlay can be so charming and add a special flare to your room. The fun part of this is that you can use any fabric of your choice, along with painting the dresser a custom color to match your décor. Can you just imagine what you would have paid for this at a furniture store? Let me take you over to Confessions Of A Serial Do It Yourselfer where you will receive step-by-step instructions from Christy James. You will love her blog and be inspired by the fabulous projects she shares with you! 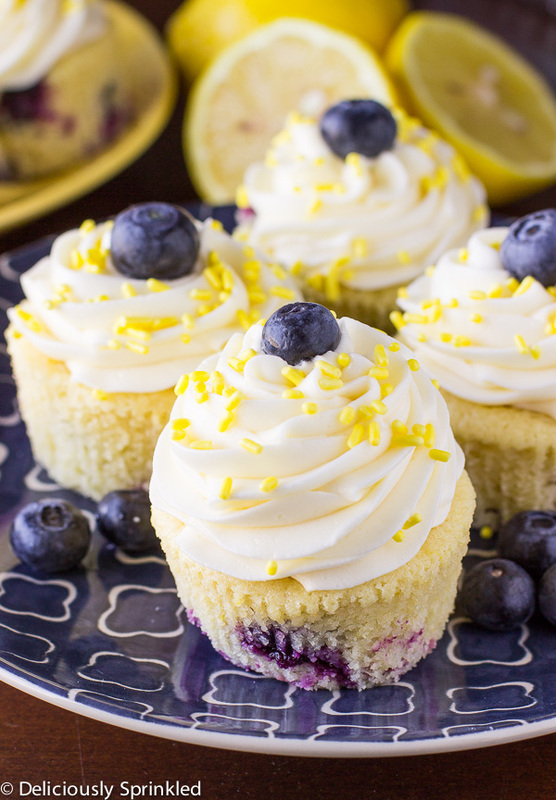 With spring just around the corner, these cupcakes just scream for warm weather. What a great treat for spring parties! These are the perfect individual desserts that will be sure to put a smile on your family and friends’ faces. I hope you have enjoyed today’s projects and that you have been inspired to begin your next one. I am looking forward to sharing some more fun things again with you next Saturday. Have a wonderful week! This entry was posted in At Home, Card Making, Home Decor, Recipes, Saturdays With LeAnn, Scrapbook Expo, Scrapbooking, Stamping and tagged Alyssa, American Crafts, Art Anthology, Blueberry, Christy James, Confessions Of A Serial Do It Yourselfer, Cupcakes, dessert, Dies, dresser, Fabric Inlay, Home Furnishings, lemon, Marta De, Melissa Frances, Mixed Media, Nancy Damiano, Pocket Pages, project life, recipe, Rejoicing Crafts, Roses, Spring, tag, thank you, The Recipe Critic, Tutorial, video, Vintage, Yoonsun Hur.